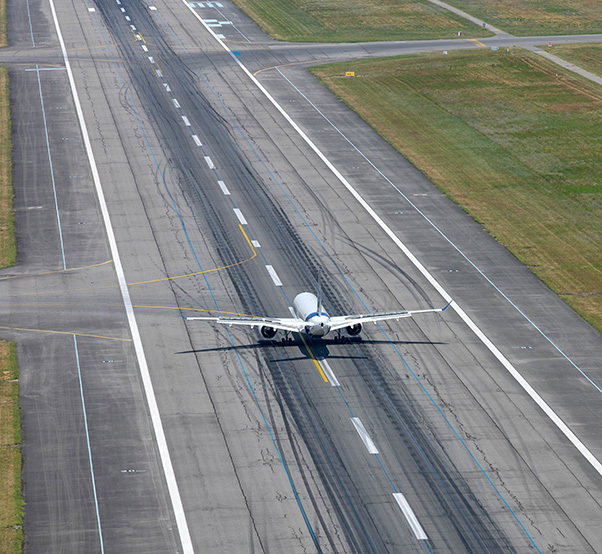 The A220-300 completes its runway rollout at France’s Toulouse-Blagnac Airport. Witnessed by Airbus employees and members of the global news media, the A220-300 landed directly from the painting at 12:25 a.m., CEST, July 10 wearing its new Airbus name and colors. 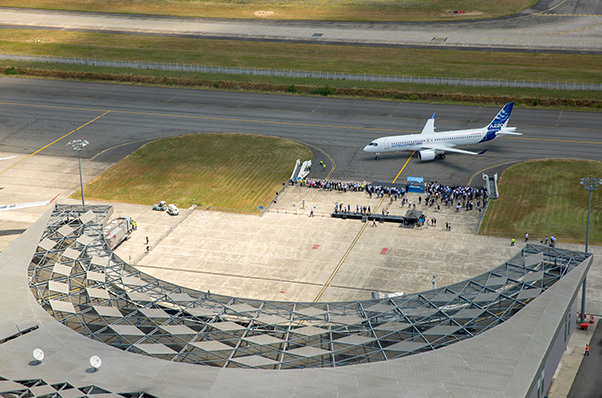 Employees welcome the A220-300 to Airbus’ delivery center in France. 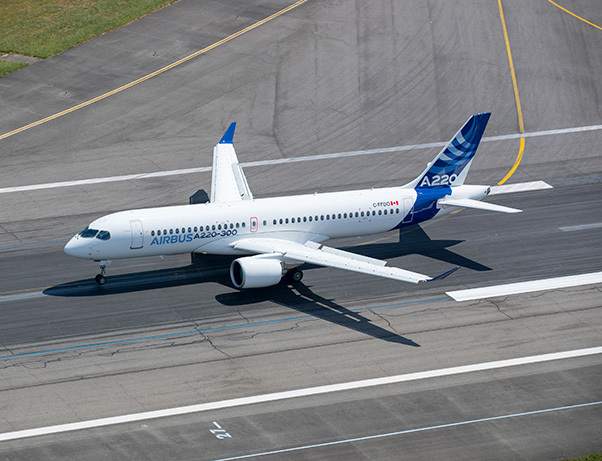 The A220-300 makes its first touchdown at Airbus’ Toulouse, France, headquarters.